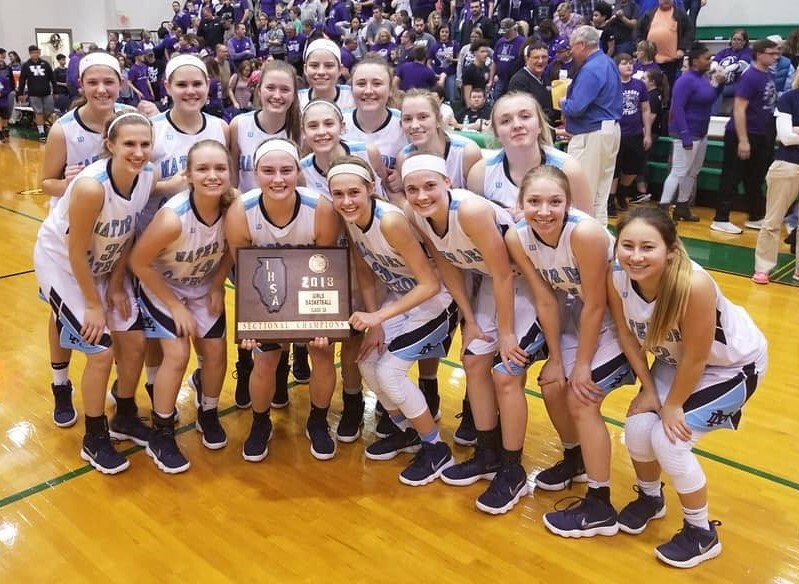 Join us in congratulating the Lady Knights basketball team, who beat the Lady Bulldogs of Harrisburg 55-44 to win the IHSA Class 2A Sectional Championship. Congratulations to the players, head coach Mr. Dave Kohnen, and assistant coaches Ms. Angie Krebs, Mr. Jim Lampe, and Ms. Avoynna Kampwerth. Pictured with the IHSA 2A Sectional Champions plaque are Lady Knights (front, l to r) Sally Albers, Jillian Tonnies, Myah Beckmann, Shannon Lampe, Kierra Winkeler, Claire Tonnies, Lainey Kramer; (right, l to r) Meredith Innes, Allison Rickhoff, Madi Strieker, Cierra Perkes (middle), Jacey Wieter, Gabby Kramer, Kate Toennies, and Abby Braundmeier. 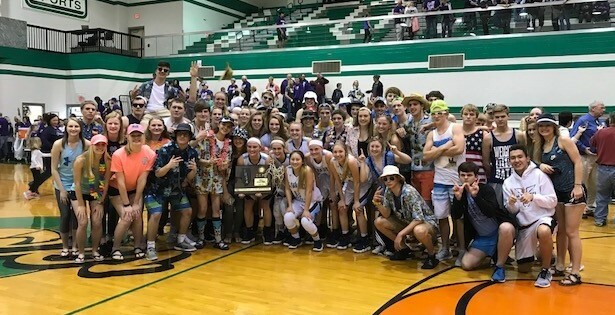 The Lady Knights are pictured celebrating with a group of their supportive fans after winning the IHSA Class 2A Sectional Championship.